I’m stumped. India were so good with the ball for the first 10 overs on the third morning and then, well, then I’m stumped. Ishant Sharma bowled Mitchell Marsh with one that hit a crack and seamed in. Varun Aaron was quick and bounced out Brad Haddin. Mitchell Johnson came to the crease with Australia 247 for six and staring at a sizeable first-innings deficit. For reasons that are not clear, MS Dhoni decided Ishant and Aaron were the second coming of Ambrose and Walsh and bouncers were the way to dismantle the rest of Australia’s batting line-up. It was a tactic that worked against England at Lord’s earlier this year. It would backfire this time. Twenty four of Johnson’s first 25 balls were short of a good length. He helped himself to 33 runs. When India should have been pressing their collective foot down on Australia’s neck, they extended a hand to Australia and pulled them up off the ground. Ishant’s bouncers were so ineffective that Johnson had time to pour himself a cup of tea before gliding a bouncer over the slips to the boundary. Even when it was clear the tactic wasn’t working, India persisted. They appeared to have gone all in with this strategy and it just had to work because there was no Plan B. "We had a plan to bowl short to tail-enders," Umesh Yadav later said in the press conference. "We persisted with it. Maybe, for too long even though it didn't work," . By the time the Dhoni decided to try something else, Johnson had added 50 runs with his captain Steven Smith at more than a run-a-ball. 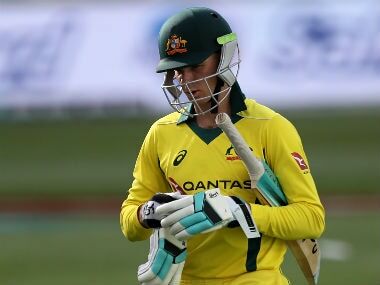 The momentum had been lost and the confidence Johnson has lacked with the ball in this series was now flowing through his bat. The ball was tossed to Umesh. He bowled it fuller but Johnson was now humming along. Umesh did induce a nick but it was wide of second slip and either side of that stroke, Johnson drove him down the ground and slashed him over point. Aaron replaced Umesh. Johnson gave him the same treatment. The ball disappeared faster than it appeared. The counter-attack appeared to catch India flat footed. Dhoni wasn’t passive and rotated his bowlers but it made no difference. There was no concerted line of attack and Johnson and Smith cut, pulled and drove with happy abandon. Smith reached his second century and almost dislocated his shoulder with his celebration. As Australia grew, India shrank. Ashwin’s offspin made little impact. The ball wasn’t turning and the batsmen weren’t missing. The first hour became a gradually fading dream. India’s initial cutting edge hadn’t just been blunted, it had been removed. It was an inexplicable transformation in a short period of time. Only when Johnson was into the 80s did India start bowling the ball across him from a fuller length. He wafted at a few before nicking one to Dhoni. It appeared India had learned their lessons but one Mitchell simply carried on where the other had left off. Mitchell Starc came out all guns blazing and again India had no answers. In theory, a tailender playing shots should give the bowling side plenty of chances. To be fair, Starc edged a few but none of them found a fielder. In one case, a top edge flew over a confused Ishant’s head at third man as he couldn’t decide whether to come forward or go back to take the catch. By the time he turned, the ball had gone past him and past the boundary. It was that kind of day. Even Josh Hazlewood on his debut was happy to make room and crash India’s faster-ever bowling attack to all parts. India’s last six wickets managed 87 from 24.1 overs. Australia’s last four wickets managed 258 runs in 48.3 overs. Johnson and Starc both made fifties with strike-rates over 85. 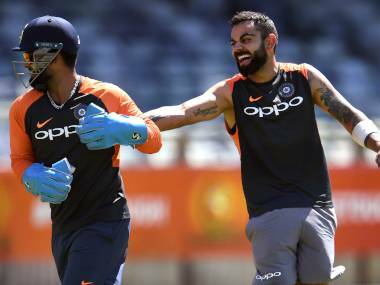 The rate at which they scored wrested the advantage from India and tucked it away in Australia’s dressing room. India’s bowling has struggled to dismiss tailenders for some time now but inexperience can no longer be an excuse. 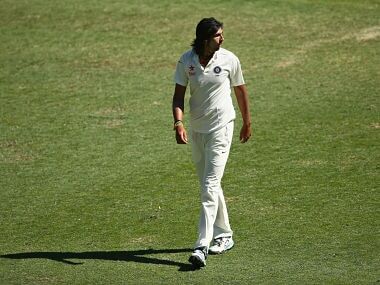 This is Ishant’s third tour of Australia; Ashwin and Umesh are on their second go-around. The same hold true for Dhoni, who is touring for the third time as well. Between them, they ought to know what lines and lengths they needed to bowl. Yet they could not come up with answers. In the first session, it looked like India would get it right but the wheels came off after Johnson came in. Only Dhoni can explain why he decided to switch tactics. 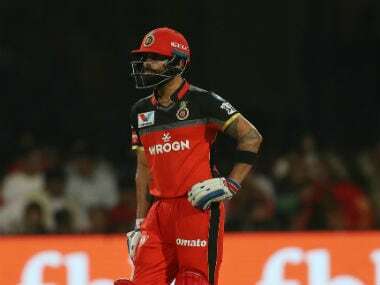 It was a mistake that started the slide but the inability to recover and respond was equally egregious and cost India a wonderful chance to boss the Test. How much of that is due to poor bowling, poor planning or poor captaincy, or some combination, is hard to say. It all started so brightly. Then the lights went out. I’m stumped.